‘You feel like crying all the time,’ shares the ‘Colette’ actress when asked about going back to work 18 months after giving birth to her daughter to film World War II drama ‘The Aftermath’. Keira Knightley has joked that her baby daughter made her so sleep deprived it made her a better actress. The 33-year-old Oscar-nominated actress welcomed her daughter, Edie, with husband James Righton in 2015, then started work on World War II drama “The Aftermath“, opposite Alexander Skarsgard, a mere 18 months later. And due to the relentless first year of motherhood, with night-time feeds, teething babies and round-the-clock parenting, Keira revealed she was suffering from a severe lack of sleep while on set. The first-time mother recently admitted that motherhood has been “f**king difficult,” and she thinks women don’t get enough credit for the huge “physical and emotional marathon” they go through after giving birth. “I come from a place of amazing privilege. 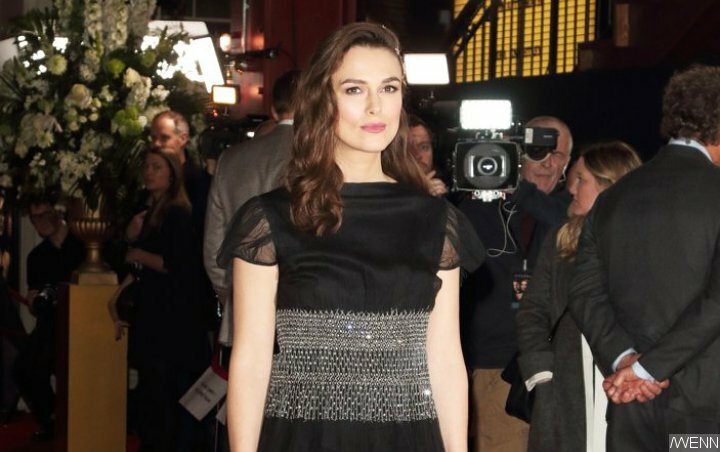 I have an incredible support system; I’ve been unbelievably lucky in my career; I can afford good childcare, and yet I still find it really f**king difficult,” Keira told Balance magazine. And while she still loves her daughter unconditionally, she urged other mothers to accept that what they are doing is enough. “I have to remind myself that I haven’t failed, I’m just doing what I can do, but it’s not easy,” Keira added.